SNOWTIME! 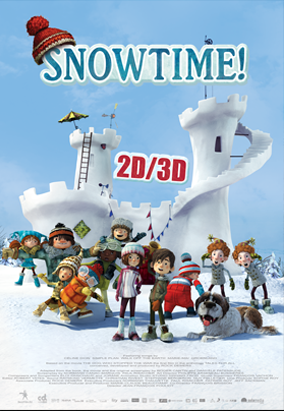 is an animated feature film in stereoscopic 3D for the entire family. 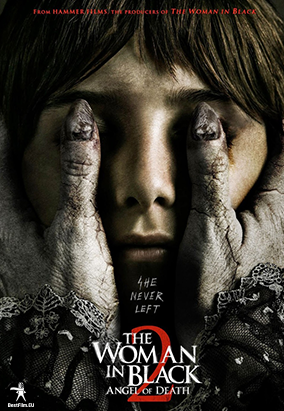 It will be released in theatres in winter 2015-2016. It is based on the international award winning live action movie La Guerre des Tuques which was released to great acclaim thirty years ago and sold to over one hundred twenty-five countries and won 18 awards. To amuse themselves during the winter school break, the kids in a small village decide to have a massive snowball fight. Luke and Sophie, both 11 years old, become the “generals” of the opposing sides. Sophie, a newcomer to the village, and her cohort defend an elaborate snow fort against the assault of Luke’s horde. Whichever side occupies the fort at the end of the break, wins. But what starts out as pure youthful fun and enthusiasm deteriorates into a more serious conflict as Luke takes his role as leader more and more seriously. The contest is brought to an abrupt end when a tragedy takes place. Luke recognizes his role in the sad event. Joy is restored when all the children decide to attack the fort rather than each other and happily destroy every last bit of the snow fort. SNOWTIME! is an appealing comedy about hope and friendship. It explores the sometimes mercurial relations between friends during childhood, and the role that enthusiastic competition and energizing solidarity play in the lives of children. In addition, it examines the issue of conflict and the impact conflict can have on all those it touches, in a way that children can appreciate. Entertaining, imaginative and joyfully lucid, this romp through childhood is full of heart and humour, while giving young viewers much food for thought. Light and funny comedy about love and adventures. The movie consists of a few short stories, which tell us about different kinds of love. See in Estonian and Latvian and Lithuanian theatres since 23.10.2015. It’s been couples of years since Tu defeated Slash. More than a hero, Tu is regarded as the protector of the village defeating bandits and upholding justice. However, with no real foundation in Kung Fu, Tu has to start from zero in order to harness the Kung Fu skills which he inherited from the Grandmaster. One day, Tu rescues an old injured warrior who finally turns out to be the evil Zhan. Zhan plans to take over the world of Martial Art by acquiring a precious gem from the real successor Lan of Huo Clan. Upon confrontation, Tu fails to save Lan and the Martial of Fire. 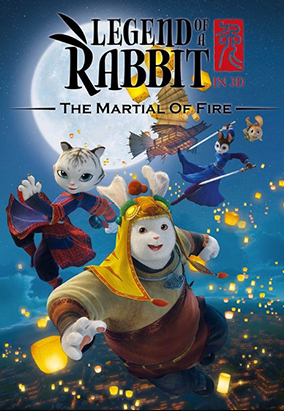 The reality hits him and Tu realizes he’s just a lucky rabbit who happens to inherit the Grandmaster’s Kung Fu. Therefore, Tu restarts to practicing Kung Fu as much encouragement from Penny and Biggie. As time goes by, Tu’s able to get on his feet and join his fellow warriors, Penny and Biggie, to stop Zhan’s evil plan, while Zhan is getting closer to his goal. Finally, Tu defeats against evil Zhan by holding the True Harmony of the Martial of Fire & Water. See in Lithuanian theatres since 02.10.2015. When Coconut, a young fire dragon, is charged with guarding the fire grass that bestows the unique gift of fire breathing upon his race, it is stolen from under his nose. Coconut sets off on a quest to retrieve the fire grass, joining forces with Oscar the gourmet dragon and Matilda the porcupine along the way. Coconut is surprised to find that other dragon races are unsympathetic to fire dragons. Their special gift seems to make the fire dragons extremely unpopular. When Dragon Island’s dormant volcano "wakes up" and starts to spew molten lava, Coconut must brave the heat and fumes to bring back the fire grass. Yet does he really want the island to return to the way things were? Can he figure out a way to unite all the dragon races and save the island from destruction? See in Lithuanian theatres since 17.07.2015. See in Estonian and Latvian theatres since 17.07.2015. Maksim is charming and successful sculptor. But the usual course of life is violated by his own right hand, which ceases to obey him. Is he going mad or does his hand actually infuse the soul of a beautiful stranger? Will he manage to live with one left hand? See in Estonian and Latvian and Lithuanian theatres since 08.05.2015. The movie is about an aircraft designer, who didn’t manage to finish his greatest work of his life and now a talented teenager will try to make it happen. See in Estonian, Latvian and Lithuanian theatres since 27.03.2015. See in Estonian, Latvian and Lithuanian theatres since 10.04.2015. Yura has dedicated his life to his wife Rita and his job in a bank as a usual clerk. Suddenly, before the New Year’s Eve, his life has changed. He became invisible. Yura is getting used to his new life and super powers very fast and realizes that he is not alone! See in Estonian, Latvian and Lithuanian theatres since 06.02.2015. See in Estonian theatres since 16.01.2015.